We had a rough idea of what the Pixel Launcher would look like in the fifth iteration of the Android Pie developer preview. The changes are mostly cosmetic don’t affect functionality in any noticeable way. Most of the changes are minute enough to slip by the untrained eye. 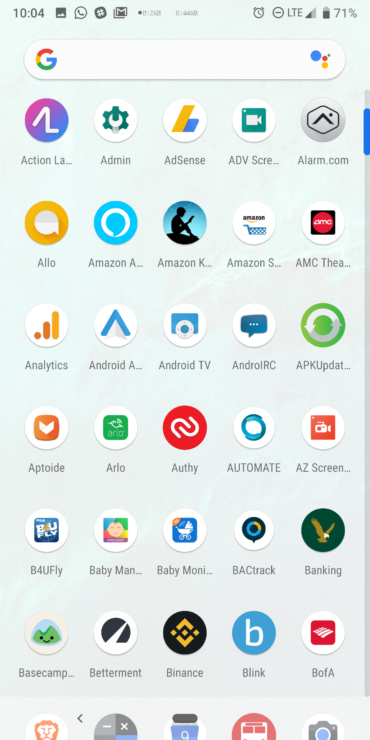 The Assistant icon has also been added to the app drawer’s G pill. Adaptive icons are now forced on all icons, so a completely uniform look is now possible even with older and no longer updated apps. The spacing in the app launcher has grown ever so slightly. We’re not sure why Google felt the need to do this, but things are now slightly further apart. There have been some tweaks to the app switcher as well. Spacing and the size of the opaque area has been adjusted, and there’s now a small arrow above the G pill. 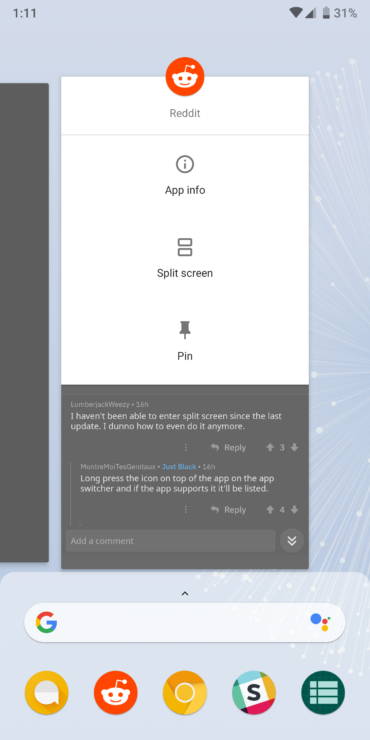 The main change here, however, is to the interface that pops up when you tap the app icon to enter split screen mode, see app info, or pin the app. The animation has been changed to smoothly unfurl when the icon is tapped. If you’re interested, the Pixel Launcher v9-4902955 is on APK Mirror ready for download. You’ll need a phone with Android 9 Pie to install it. After downloading and installing the APK, run it and you’ll be prompted to set it as the default launcher. 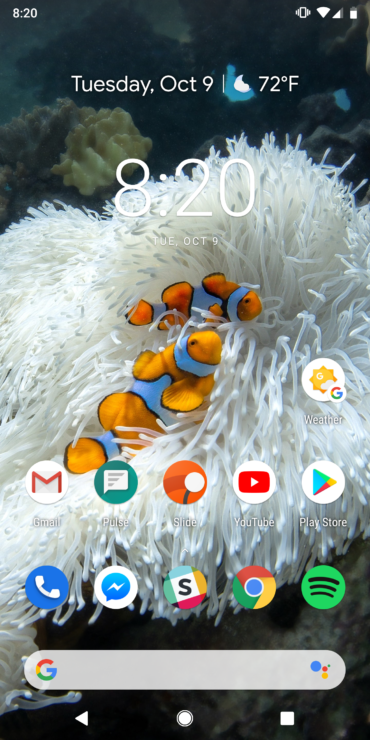 Take a look around and if it doesn’t pique your interest, you can always go back to your original launcher via the device settings.